J. Am. Chem. Soc. 2015, 137, 14256-14259. J. Phys. Chem. B 2015, 119, 14660-14667. Sci. Rep. 2015, 5, 15080. J. Am. Chem. Soc. 2015, 137, 12713-12718. 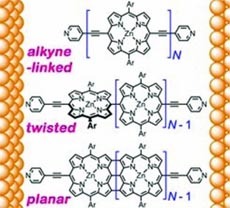 Highlighted in Chemical & Engineering News on 30th September 2015 "Porphyrins run rings around each other". Chem. Mater. 2015, 27, 6305-6313. Chem. Sci. 2015, 6, 5773-5778. J. Phys. Chem. B 2015, 119, 7598-7611. Chem. Sci. 2015, 6, 6468-6481. J. Am. Chem. Soc. 2015, 137, 8284-8293. Angew. Chem. Int. Ed. 2015, 54, 7344-7348. Highlighted in Chemical & Engineering News 25th May 2015 p 32. "Getting Tubular with Porphyrins". J. Am. Chem. Soc. 2015, 137, 6670-6679. Angew. Chem. Int. Ed. 2015, 54, 6645-6649. J. Phys. Chem. C 2015, 119, 6414-6420. Phys. Chem. Chem. Phys. 2015, 17, 7548-7554. Org. Biomol. Chem. 2015, 13, 3792-3802. Nat. Chem. 2015, 7, 317-322. Angew. Chem. Int. Ed. 2015, 54, 5355-5359. 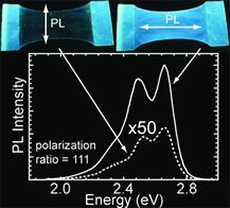 Highlighted in Nature Nano. 2015, 10, 293. 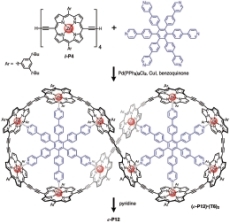 "Supramolecular chemistry: Porphyrins on the move"
Phys. Chem. Chem. Phys. 2015, 17, 6554-6564. Chem. Sci. 2015, 6, 2419-2426. Appl. Magn. Reson. 2015, 46, 389-409. J. Am. Chem. Soc. 2014, 136, 17996-18008. Appl. Magn. Reson. 2014, online. J. Phys. Chem. A 2015, 119, 95-101. Chem. Commun. 2015, 51, 847-850. Chromophores in Molecular Nanorings - When Is a Ring a Ring? J. Phys. Chem. Lett. 2014, 5, 4356-4361. Chem. Sci. 2015, 6, 181-189. Chem. - Eur. J. 2014, 20, 12826. J. Mater. Chem. C 2014, 2, 6802. J. Mater. Chem. C 2014, 2, 6601. Angew. Chem. Int. Ed. 2014, 53, 7770-7773. Highlighted in Nature Chem. 2014, 6, 656. "Running rings around rings"
J. Am. Chem. Soc. 2014, 136, 8217-8220. Chem. Commun. 2014, 50, 7332-7335. J. Phys. Chem. C 2014, 118, 4553-4566. Nat. Neurosci. 2014, 17, 383-390. J. Phys. Chem. C 2013, 117, 26482-26492. APL Mater. 2013, 1, 042116. J. Am. Chem. Soc. 2013, 135, 12798-12807. Phil. Trans. R. Soc. A 2013, 371, 20120475. Angew. Chem. Int. Ed. 2013, 52, 9044-9048. Nano Lett. 2013, 13, 3391-3395. Adv. Mater. 2013, 25, 4347-4351. Chem. Eur. J. 2013, 19, 10370-10377. J. Phys. Chem. B 2013, 117, 5737-5747. J. Phys. Chem. Lett. 2013, 4, 1053-1058. Chem. Sci. 2013, 4, 2024-2027. J. Mater. Chem. C 2013, 1, 2044-2053. Phys. Rev. B 2013, 87, 035201. J. Phys. Chem. C 2012, 116, 25213-25225. J. Phys. Chem. C 2012, 116, 19630-19635. Biophys. J. 2012, 103, 907-917. Nature Physics 2012, 8, 596-600. Adv. Funct. Mater. 2012, 22, 4284-4291. J. Phys. Chem. C 2012, 116, 13781-13787. Commun. Integr. Biol. 2012, 5, 240-242. Photochem. Photobiol. 2012, 88, 1531-1538. RSC Adv. 2012, 2, 6846-6853. Org. Lett. 2012, 14, 3424-3426. Highlighted in Nature Chem. 2012, 4, 592. "Protecting polyynes"
Angew. Chem. Int. Ed. 2012, 51, 6696-6699. Highlighted in Angew. Chem. Int. Ed. 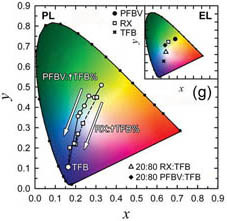 2012, 51, 11205-11207 "A Dynamic Library of Porphyrinic True Nanorings"
Chem. Sci. 2012, 3, 1541-1547. Adv. Mater. 2012, 24, 653-657. J. Am. Chem. Soc 2011, 133, 20962-20969. J. Am. Chem. Soc 2011, 133, 17262-17273. Nat. Nanotech. 2011, 6, 517-523. Chem. Sci. 2011, 2, 1897-1901. J. Am. Chem. Soc. 2011, 133, 9863-9871. J. Neuroscience 2011, 31, 8564-8569. Adv. Mater. 2011, 23, 1855-1859. Nano Lett. 2011, 11, 2451-2456. Angew. Chem. Int. Ed. 2011, 50,5572-5575. ACS Nano 2011, 5, 2307-2315. Angew. Chem. Int. Ed. 2011, 50, 2313-2316. Self-assembled conjugated thiophene-based rotaxane architectures: structural, computational, and spectroscopic insights into molecular aggregation. Adv. Funct. Mater. 2011, 21, 834-844. 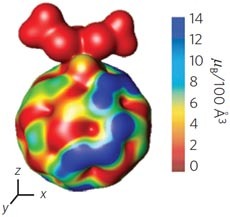 Nature 2011, 469, 39-41: "Supramolecular chemistry: Bigger and better synthesis"
Nature Chem. 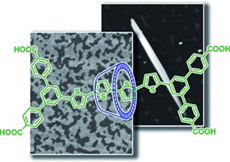 2011, 3, 186-187: "Macrocycles: Templating triumph"
C&EN January 10th, 2011 News of the Week: "Nanorings Synthesized Simply"
Chemistry World February 2011: "Macromolecules from minature templates"
Science News January 2011- "Building big molecules bottom-up"
Chemistry & Industry January 2011: "Scaffolds for big molecules". J. Am. Chem. Soc. 2011, 133, 30-31. 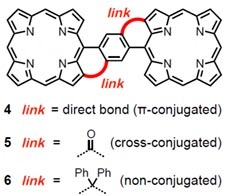 Highlighted in C&EN December 20th, 2010- "Long-proposed porphyrin is finally made".